Tomorrow at noon the bells will toll or at least the ceremony to inaugurate Mayor Dawn Zimmer and her council slate of Ravi Bhalla, Dave Mello and Jim Doyle. The Stevens Institute of Technology is hosting the ceremony at the DeBaun Auditorium at 5th and Hudson Street, 12:00 noon. A free reception will follow at the Babbio Center Atrium located at 6th and River Street. Buddy "The Cake Boss" Valastro is attending with dessert and music featured by Hoboken's acclaimed Swingadelic. Space for the inauguration is limited so please RSVP to ZimmerInauguration@gmail.com. 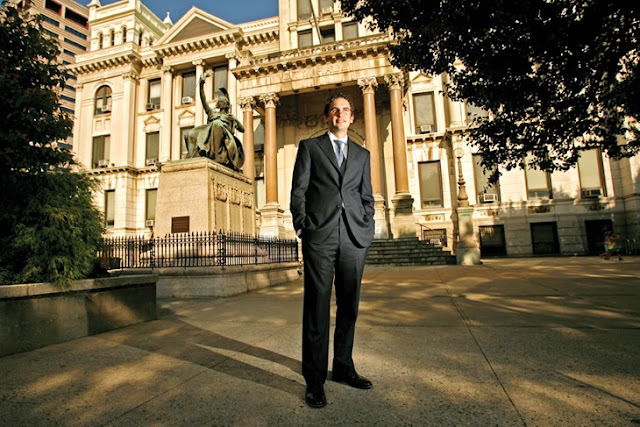 is Jersey City Mayor Steven Fulop.